The numerology system which I use is based on the ancient Greek Pythagoras System which in my 28 years of cross-cultural research is the most suitable Numerological system to analyze names in the ENGLISH language. Add all numbers of your birthday (including the total year). Keep adding and reduce it to a single digit, except for Master Nos. i.e. 11, 22 – 99. The BirthDay No. (BD) represents the IMMEDIATE character of a person. Read and compare both the BP & BD numbers to see what the combination may show. Some combinations have conflicting aspects that may show your “true colors”. 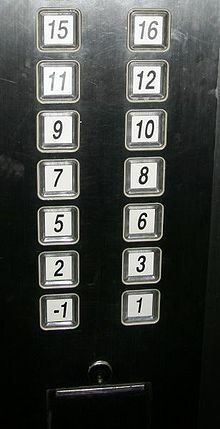 There are no bad or unlucky numbers, however, each number has its positive & negative aspects. Princess Diana has both masculine (1) and feminine (7) numbers. Although her overall character is 7, a feminine number, her immediate character (1) is masculine. She is a strong individual with leadership qualities. Given her very feminine outer appearance, a lot of people were surprised how strongly she fought for her rights and beliefs when she showed her true colors. It’s interesting to note that there were major conflicts with Queen Elizabeth II (BD=3, BP=7) another 7 person – a private, expressive, spiritual but ambitious person. Both can be aloof, fanatical , perfectionists, and belong to two different “schools of thinking” i.e. a old traditional thinking since King Henry VIII (1547) vs. a modern “People’s Princess”. In Robert Chaen’s Compatibility Matrix, the compatibility between two No. 7 persons could be good or in conflict. Good is when they share the same school of thinking, bad is when they have conflicting beliefs and practices as in Princess Diana and Queen EII’s case. Note: Robert Chaen’s Number Guide is just a “guide” to characters, strengths, weaknesses, industries, products and careers. For a more thorough analysis, your name at birth will give you the most vital indicators of your Destiny Number (i.e. your purpose in life) ; and what are your Karmic Numbers (i.e. your major life lessons) and whether your Karmic Numbers are an opportunity or a threat in the 4 Pinnacles/ 4 Challenges will show your major 4 life phases, opportunities/ lessons. Weaknesses: Stubborn, egoistic, highly competitive, self-righteous, stuck to a position, belittling, bully, and egoistic. Careers: CEO, No.1 people can do well in almost any profession – highly adaptable. They excel in leadership and managerial roles. They are pioneers, they see the “big picture”, are full of ideas, strong willed.entrepreneurial, male products, CEO, ideas and concept person, inventor, manager, scientist, planner, psychologist, pioneer and strategist. Careers: Industrial Relations/Union Head, Company Secretary, lawyer, arbitrator, customer service, health, market research, personnel, public relations, secretarial, female products, accountant, statistician, arbitrator, government servant, diplomat. Careers: Creative Director, Ad Agency Head, arts, music, advertising, performance arts, publishing, theater, child products, actor, artist, author, journalist, lecturer, fashion designer, writer. Weaknesses: Boring, careless, suspicious, lonely, undemonstrative, slow-witted, unambitious, inflexible, failing to see the big picture, narrow-minded, hold on to security. Careers: COO, project manager, construction, manufacturing, mechanical, military, office administration, production research; Chartered accountant, contractor, engineer, system analyst, stockist, tax consultant. Weaknesses: restless, nervous, unpredictable, lustful, hedonistic, sarcastic, sharp witted, uses people, headstrong, thoughtless, indifferent, fault-finding, dislike routine, unpredictable, uncommitted, out of sight-out of mind, reckless. Careers: CMO, Head of PR/Marketing Communications, Head of Training, actor, public speaker, trainer, marketing, sales, communications, commercial real estate, entertainment, food & beverage, insurance, leisure, marketing, media, retail, sales, sports, travel, consumer products, advertising/ sales executive, athlete, chef lawyer, magician, promoter, reporter, speech therapist, stock-broker, and trader. Weaknesses: fussy, gossipy, complacent, discontent, jealous, smothering, lavish, can’t handle discomfort, approval seeker, over-committed. Careers: Head of HR, Art & culture, civil service, customer service, hotel, hospitality, human resources, residential properties, training, welfare work; baby/ household/ family/ luxurious/ toy products; Beautician, counsellor, consultant, doctor, healer, social worker, and therapist. Strengths: deep intensive natures, either great success or failures, most misunderstood sign, gains through personal sacrifices or losses, executive quality, run big projects/people, capable of handling pressure and unpopularity, excel in decision-making, problem solving, trouble-­shooting, good judge/critic, integrate what they know, and like status & power. Weaknesses: bossy, judgmental, fatalistic, many enemies, envious, deceitful, ruthless, power, discriminating, prejudiced, most misunderstood sign. Weaknesses: careless, see too many sides, indecisive, quarrelsome, forgets to build foundation, dreamer, possessive. – see also the reduced numbers e.g. 11=2. The good news is people with Master Numbers are meant to play a bigger game in life. The bad news is they can also become master criminals if they choose the path of evil, or they can’t handle the extra power and temptation (Master numbers multiply the power). Just because they may have a Master Number it doesn’t mean that they are operating in the higher number frequency. Robert Chaen will show you many ways to enhance your Master Number as a Life Coach which other Numerologists do not know how to do it. Weaknesses: hides feelings, hurts deeply, perverted, malevolent, scheming, impractical, cult leader, tend to over-exaggerate, drama-queen/king. Strengths: highly diplomatic, supportive, able to gain cooperation and team spirit for large projects. Strengths: socialite, family-orientated, conditional love, companionship, spiritual, artistic, expansion-minded, healing, qualities, compassionate. Weaknesses: can be very controversial, power hungry. Strengths: highly creative in expression, committed, strong family and child values, co-creative attitude. Strengths: specialist, research-minded, educator, spiritual and magical, good teaching/ communication skills. Weaknesses: unrealistic, tend to broadcast their beliefs, fanatical. Strengths: top executive quality, good trouble-shooter, excellent in turnaround situations, a teacher. Weaknesses: deceitful, lazy, doomsday preacher. Weaknesses: impractical, overly concerned, over-worry. In the “Numbers & Names” PowerWorkshop you’ll discover the many secrets of the multiple facets of Numerology in your birthday and name. 1) Your birthdate: which reveals about the energies, strengths and weaknesses you are born with, the 4 phases of opportunities and threats in your life. 2) Your name at birth: which reveals your destiny, purpose in life, karmic life lessons, motivations and how other people perceive you. 3) Your current name or name changes: which the midde name is normally dropped in the West (e.g. Barack Hussein Obama II becomes Barack Obama), and in the East it’s very common to have a Romanized Chinese name or an English name (Chan Kong-sang becomes Jackie Chan) is adopted to fit into the modern global business world. [ ] Robert Chaen’s Compatibility Matrix: Which are compatible numbers, which are number with conflict energies. How to apply in business and partner compatibility? [ ] Which numbers are a) scientific b) business c) artistic? [ ] How are odd numbers different even numbers? What is the true meaning if you have a Prime number [PR] in your chart? [ ] Pinnacle number [PI] in the 4 phases in your life = opportunities to seize. [ ] Personal Day/ Month/ Year = what is this day/ month/ year in store for you. [ ] Master number [MA] = chance to play a bigger game in life but the bad news is your evil side is also accelerated if you choose to do evil vs. good. [ ] Destiny number [DE] = your soul’s purpose and mission in life. What you need to fulfill in your life. [ ] Consonants [CO] in your name = your outer self, how other perceive you. [ ] What are perceived loser or weak names? What are perceived strong names? [ ] Signature = reveals your personal statement, emphasis, tendencies, whether you are family-orientated or self-orientated. ← “The woman who wasn’t there” in World Trade Center 9/11. Why did Tania Head fake it? My BP is 5 and BD is 1. Interesting ! Wanhong, you have leadership (1) and communications skills (5). Hey when are we meeting up? 6 and 8 have been keeping popping up every where. Today was daughter’s graduation, I was seated at Table 6. This week is her 6th birthday… My wedding hantaran was RM 6868. Daughter birthday is 14th day of 11 month (6+8 and 10+1)… Born 2 months premature.